Belleville was founded in 1872 and its primary industry was the mill processing ore from the Northern Belle Mine at Candelaria. The mill was located just east of the present-day historical marker. Its first bullion bar shipment of $9,200 was made in April 1875. The town was famed for a "Wild West" atmosphere; murders, drunken brawls, and "sporting" practical jokes were commonplace. When the Carson and Colorado Railroad reached the town in 1882 its population was 500, and the town was served by a doctor, assay office, express office, telegraph station, livery stable, school, two hotels, restaurants, and blacksmith shops as well as by seven saloons. 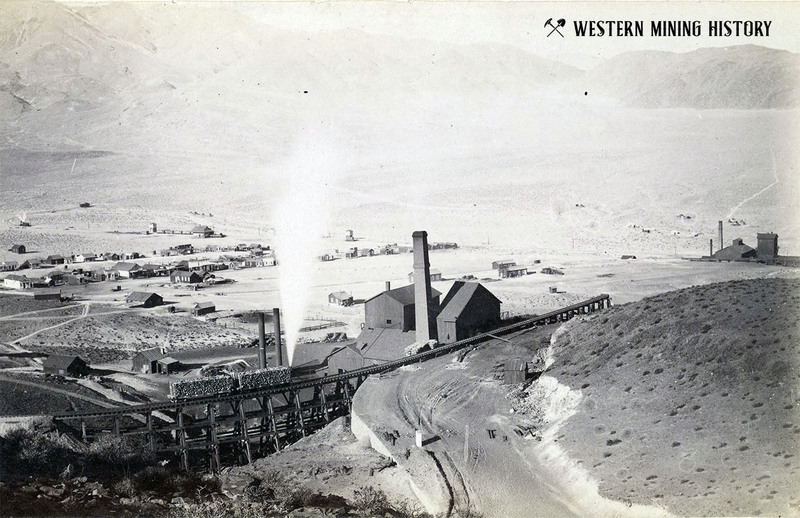 By 1892 water piped to Candelaria allowed the ore to be milled nearer the mine, and Belleville was deserted.